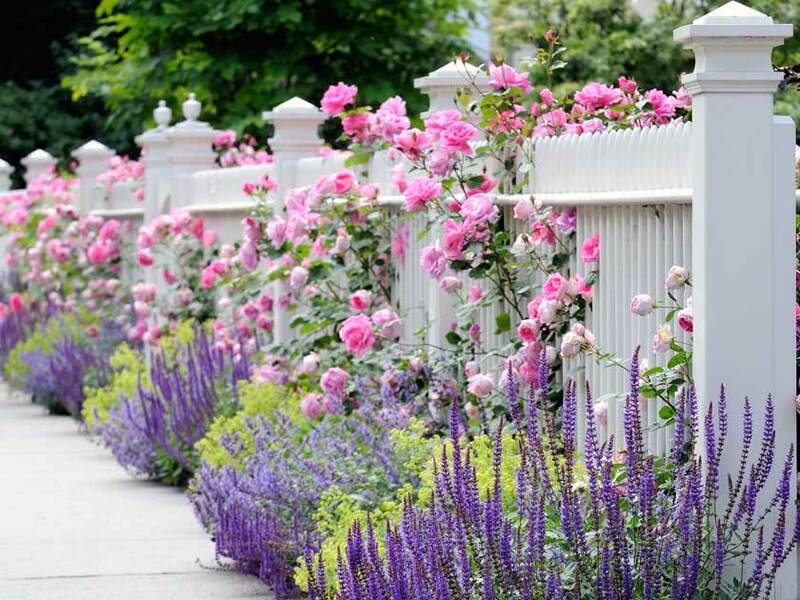 For a picture-perfect summer garden, make room for roses. Shrubby types with sumptuous blooms lend themselves to use alongside herbaceous perennials in traditional and contemporary- style mixed borders. 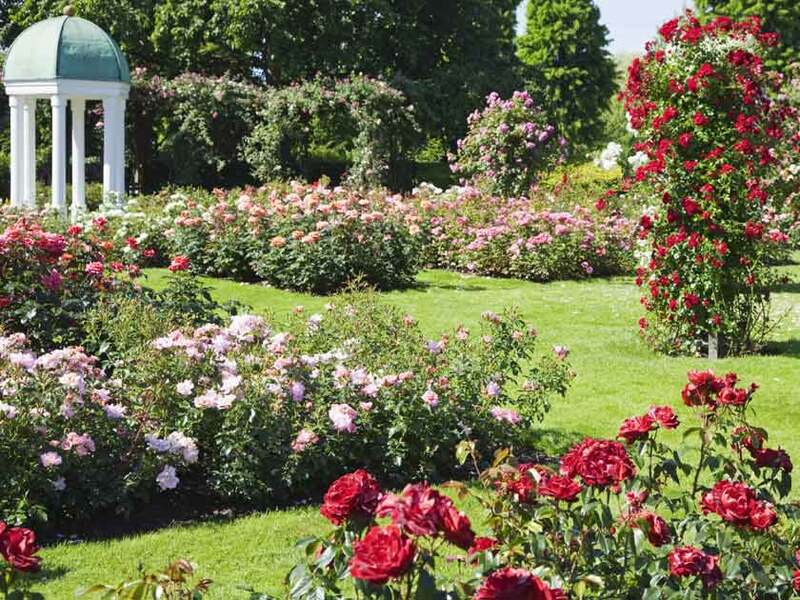 The older species of garden rose varieties – floribundas, shrubby cabbage types and moss roses – have full-bodied blooms and gorgeous spicy, fruity and floral scents. But the famous English roses, bred by David Austin over the past 40 years, combine these scents and flower shapes with the health, vigour and repeat flowering of modern blooms. Varieties that give the garden a vintage charm are the fruitily fragrant, apricot-yellow ‘Jude the Obscure’, ‘Gertrude Jekyll’, which has glowing pink old-rose blooms and ‘Evelyn’, which produces apricot-pink flowers that smell like a bowl of fresh peaches. All look stunning even as the blowsy blooms fall apart. A date for any rose lover’s diary has to be the launch of David Austin’s new varieties. These are traditionally unveiled at the Chelsea Flower Show and, this May, three new varieties are being showcased: ‘Desdemona’, ‘Kelmscott’ and ‘Sir Walter Scott’. 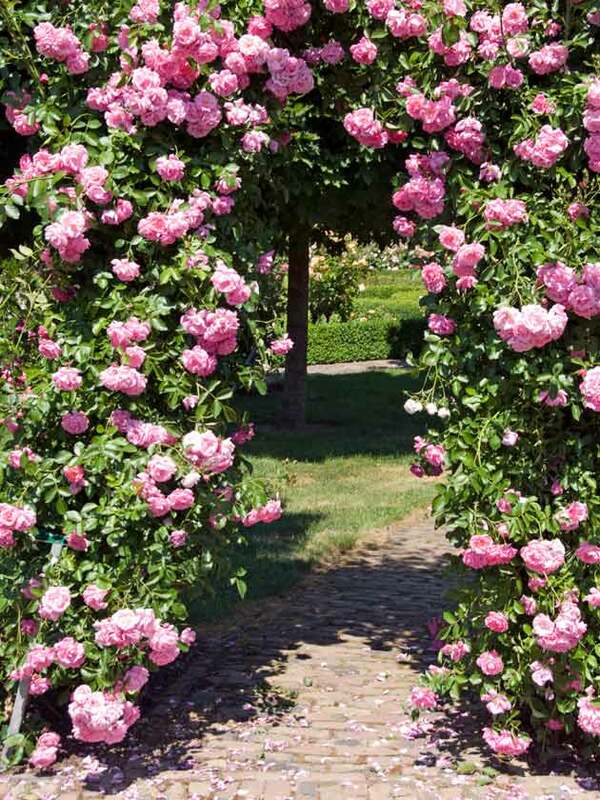 Not just suitable for borders, versatile roses can also be bought as climbers for covering walls, pergolas and pillars and can be grown in pots on patios and terraces. They also make excellent cut flowers. Any climbing rose is useful not only for adding grace and charm to house walls; they can also be used to disguise a garden shed, unsightly boundary or building. Varieties often used as wall covers are the disease-resistant, ‘Ena Harkness’, with its fade-proof bright red flowers and the silvery pink ‘New Dawn’. To get perfect blooms from plants growing in the shadow of a wall, rose experts advise planting the rootball at least 45cm away from the wall in soil that has been enriched with well-rotted manure or compost. To encourage blooms along the entire length of the stem, it’s recommended that you bend down the stems and tie them in an attractive fanning or arching arrangement. For growing up pillars and posts, search out space-saving, miniature roses. ‘Little Mermaid’, a lovely yellow rose, and the romantically named ‘Dreaming Spires’, with its full-sized yellow blooms and heady fragrance should be on your must-have list, as well as the spectacular pink and gold beauty ‘Souvenir de Mme Léonie Viennot’. Another space-saving idea is to train roses along ropes to create floral backdrop to flower beds or to divide the garden into ‘rooms’. Choose a rambling rose such as ‘American Pillar’, which can also be used as ground cover, especially on a difficult-to-mow slope. Ideal for covering a pergola, even if it’s in shade for part of the day, is the more rampant ‘Paul’s Himalayan Musk’, which produces long, trailing branches up to 9m that are covered in dainty, heavily scented flowers. The vigorous ‘Rambling Rector’ has even more power and strength; it will easily cover a gazebo and turn it into a sheltered refuge where, on a sunny summer’s day, you can enjoy the creamy white flowers that fill the air with a strong musk fragrance. It is also an excellent variety for wilder areas of the garden or for covering a north-facing wall. If you simply want to make statement, look no further than a standard rose. This lollipop-trained plant with a bushy head atop a straight stem is often used as focal point in a flower bed. It’s also effective when identical varieties are planted in rows to line a path or grown in pots and used to flank a doorway or staircase. Just make sure you use at least three sturdy plant ties to secure the standard to its stake. A single plant tie at the top will act as a hinge, allowing the head to rock about and get damaged. There’s always something innovative to try: the new- generation ‘flower carpet’ roses, also known as ‘wonder’ roses because of their long flowering and exceptional disease resistance, or the Harkness semi-double variety ‘Simple Gold’, which produces bold clusters of rich golden blooms that help our declining population of bees. Winner of 2015 Rose of the Year is ‘For Your Eyes Only’, a tough, repeat-flowering floribunda produced by Chris Warner with lightly scented flowers in a delicious blend of rich sunset shades. It will make a perfect new addition to your summer border. Choose a sunny, sheltered spot and rich, well-drained soil. Feed with rose fertiliser in summer and water in dry weather. Remove spent flowers to encourage a succession of blooms. Prune in March.